Ten years ago, two young Americans played for the US Open Junior Boys Championship. It was Andy Roddick, the boy from Nebraska, who would win that title over Robby Ginepri. A decade later, they are still in the forefront of tennis. On Sunday, two more boys have a chance to earn their place in tennis history, and it just may be another kid from Nebraska who takes the top prize. 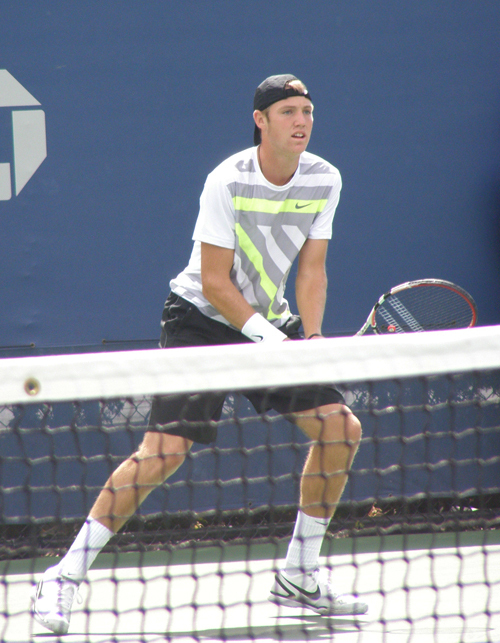 Jack Sock may train at Mike Wolf's Academy in Overland Park, Kansas, but he is from Nebraska, like Andy Roddick. Unlike Andy (or Denis Kudla), Jack isn't playing this event as a professional. He's still an amateur, very much looking to go to college next year. He got into the US Open Junior Boys' Championships on a wildcard based on his national record and his win and the Boys' 18 Nationals in Kalamazoo. He has taken that wildcard through upsets over the No. 5, 13 and 2 seeds (in that order), all the way to the finals. Just before Jack Sock defeated Marton Fucsovics of Hungary (6-3,6-4) for his place in the final, fellow American Denis Kudla secured his. 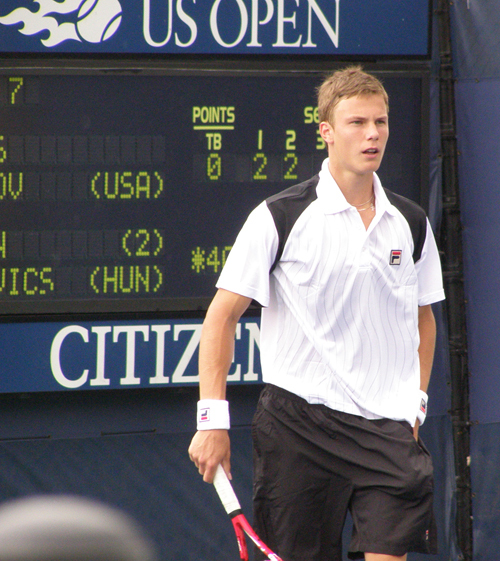 The story of Denis Kudla is quite different than that of Jack Sock. 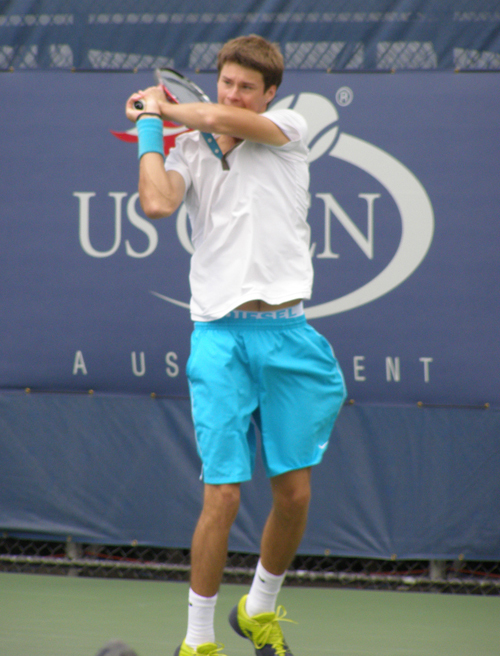 Born in the Ukraine and raised in the United States -- his current hometown is Arlington, Virginia -- Denis is ranked No. 10 in the ITF World Junior Rankings and is seeded that in this draw. 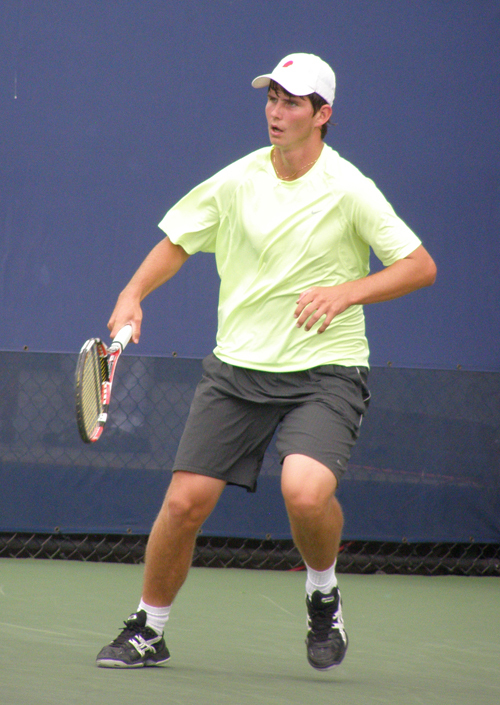 The 18 year old is also a professional who gave up his amateur status at the beginning of this year, deciding to forego college tennis. On Saturday, he turned in another solid performance to take out the eighth-seeded Agustin Velotti, 6-3,6-2, and earn the right to play Jack Sock for the championship. Ironically, the girls finalists are also compatriots with differences in how they landed here. Yulia Putintseva (right) is a 15 year old from Moscow, Russia. Like Jack Sock, she came into the draw unseeded and proceeded to cause upsets, including one over second-seeded Timea Babos in straight sets. 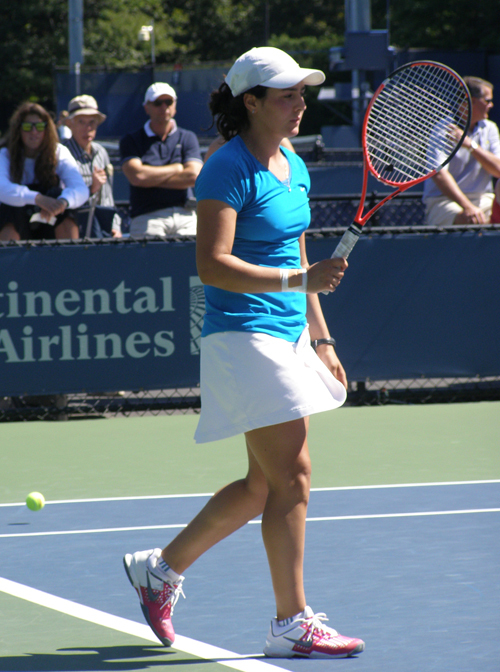 She made her way into the final with a methodical win over Ons Jabeur of Tunisia, 6-4,6-3. 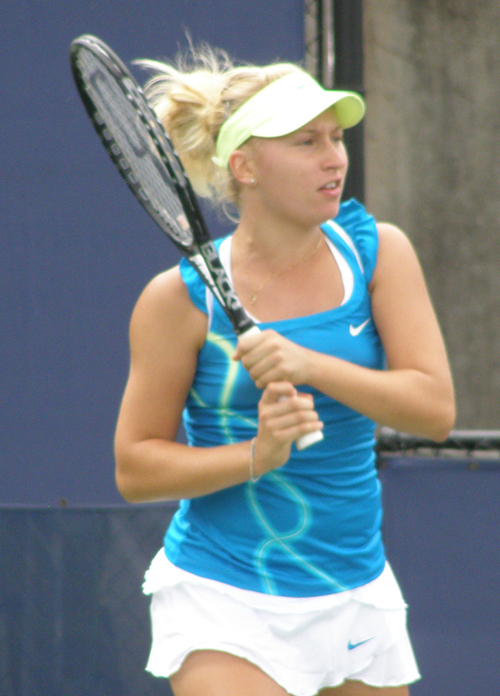 Daria Gavrilova is also from Moscow, but she's the top-seed. With sheer determination -- and a lot of whining and grunting -- Daria's opponents have made often made the mistake of counting her out. This is not a player you can turn your back on, no matter how far ahead you think you are. That's part of what happened in the semifinal with Sloane Stephens. 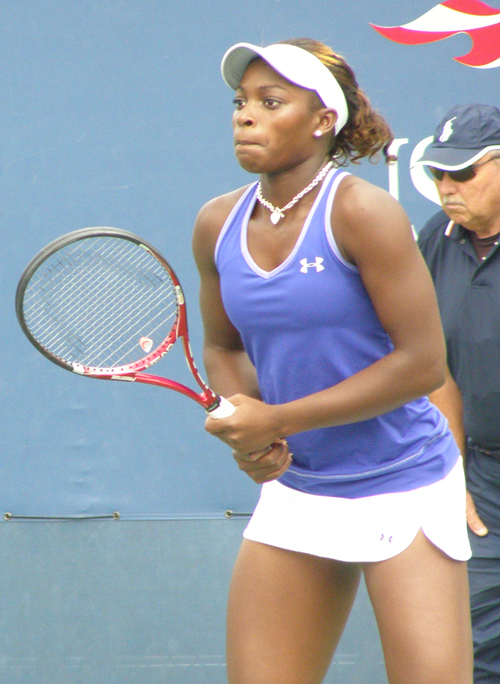 After 16 year old Daria took the first set at 7-5, Sloane ran through the second for a 6-1 win. The two traded breaks from the beginning of the third and though it went all the way to a 7/4 tiebreaker, it was Gavrilova who proved her experience in the clutch. Sloane Stephens didn't have to work hard in the end for her doubles trophy with partner Timea Babos. The duo picked up their third major crown (they also won the French Open and Wimbledon by default when An-Sophie Mestach & Silvia Nijiric pulled out (An-Sophie cited an injury). They had familiar company in the winners' circle as Duilio Beretta & Roberto Quiroz, who also won the French Open title, took the boys' doubles with a 6-1,7-5 win over Oliver Golding & Jiri Vesely. The US Open is once again offering $5.00 grounds passes for Sunday so come on out and watch the first all American boys' final in ten years. Remember, the last one was a glimpse into a US Open men's champion. 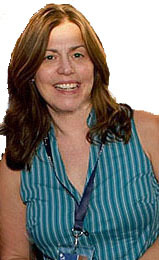 For more on the junior matches at the US Open, check out Colette Lewis' a href="http://www.zootennis.com" target="blank">Zoo Tennis.